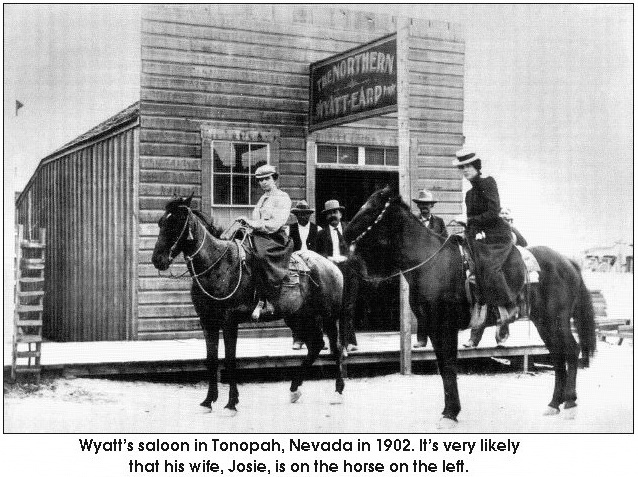 Wyatt Earp was at different times in his life a city policeman, county sheriff, a teamster, buffalo hunter, bouncer, saloon-keeper, gambler, brothel owner, pimp, miner, and a boxing referee. His story is a bit controversial, but it is generally accepted that he participated in many gunfights including the infamous Gunfight at the OK Corral. You can read more about his life on Wikipedia. The most important lesson I learned from those proficient gunfighters was the the winner of a gunplay usually was the man who took his time. 1. If I hoped to live long on the frontier, I would shun flashy trick-shooting — grandstand play — as I would poison. This goes back to the 4 rules of gun safety – be deadly serious. 2. When I say that I learned to take my time in a gunfight, I do not wish to be misunderstood, for the time to be taken was only that split fraction of a second that means the difference between deadly accuracy with a sixgun and a miss. It is hard to make this clear to a man who has never been in a gunfight. Perhaps I can best describe such time taking as going into action with the greatest speed of which a man’s muscles are capable, but mentally unflustered by an urge to hurry or the need for complicated nervous and muscular actions which trick-shooting involves. Mentally deliberate, but muscularly faster than thought, is what I mean. A miss is always a miss. You need to be fast and accurate. Check out our posts on muscle memory and dry fire. 3. In all my life as a frontier police officer, I did not know a really proficient gunfighter who had anything but contempt for the gun-fanner, or the man who literally shot from the hip. We not big fans of point shooting, Earp wasn’t either. The flash site picture is the way to go. 4. In the days of which I am talking, among men whom I have in mind, when a man went after his guns, he did so with a single, serious purpose. There was no such thing as a bluff; when a gunfighter reached for his forty-five, every faculty he owned was keyed to shooting as speedily and as accurately as possible, to making his first shot the last of the fight. He just had to think of his gun solely as something with which to kill another before he himself could be killed. The possibility of intimidating an antagonist was remote, although the ‘drop’ was thoroughly respected, and few men in the West would draw against it. I have seen men so fast and so sure of themselves that they did go after their guns while men who intended to kill them had them covered, and what is more win out in the play. They were rare. It is safe to say, for all general purposes, that anything in gunfighting that smacked of show-off or bluff was left to braggarts who were ignorant or careless of their lives. When you decide on a home defense gun and/or concealed carry you have changed your world and how you interact with other people. Never think you will pull your weapon without following through with deadly force. Now your first reaction should be to avoid a threat but you have to never think a bluff will save you. 5. I have often been asked why five shots without reloading were all a top-notch gunfighter fired, when his guns were chambered for six cartridges. The answer is, merely, safety. To ensure against accidental discharge of the gun while in the holster, due to hair-trigger adjustment, the hammer rested upon an empty chamber. As widely as this was known and practiced, the number of cartridges a man carried in his six-gun may be taken as an indication of a man’s rank with the gunfighters of the old school. Practiced gun-wielders had too much respect for their weapons to take unnecessary chances with them; it was only with tyros and would-bes that you heard of accidental discharges or didn’t-know-it-was-loaded injuries in the country where carrying a Colt’s was a man’s prerogative. Even Wyatt Earp had safety in mind always. Don’t take stupid chances. Get the training you need and follow the safety rules. Let us know in the comments any more Wyatt Earp quotes you know.